Different canvas sizes available! 9x12, 11x14, 12x16, 12x24"
Canvas's are easy to hang. Signs are painted and then sealed in a gloss finish or matte. 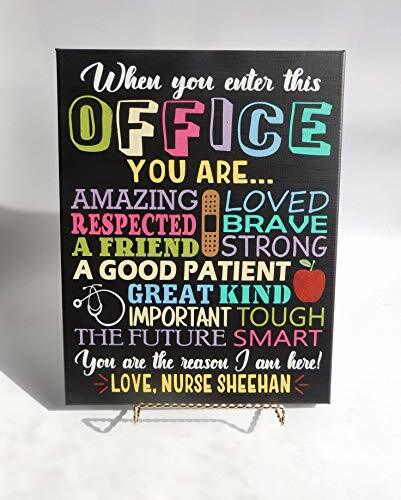 Perfect gift for all nurses! Canvas is painted in black. This was a custom design I made for a school nurse. If you have any questions about this product by 716PromoDesigns, contact us by completing and submitting the form below. If you are looking for a specif part number, please include it with your message.